Melding the worlds of design and architecture – one tile at a time. 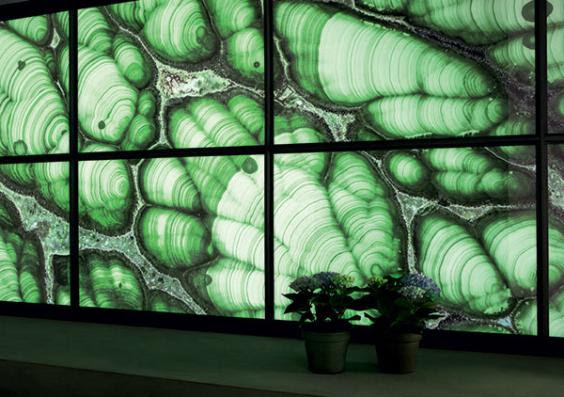 The creative intuition, combined with the deep knowledge of the sector and a firm awareness of the importance of research to develop new materials, Sicis has driven the creation of the collections slated to be exhibited at Coverings. The company presents products that express an evolution in the concept of covering surfaces, such as walls and floors, as fundamental elements in the completeness of the interiors space. Vetrite is a versatile material, conceived by Sicis, that is ideal for designing kitchens, washbasins, tops, tubs and more. The new production techniques allow the creation of slabs that mimic natural materials — marble, stones and precious gems — with the advantage of offering lower costs and easier maintenance. 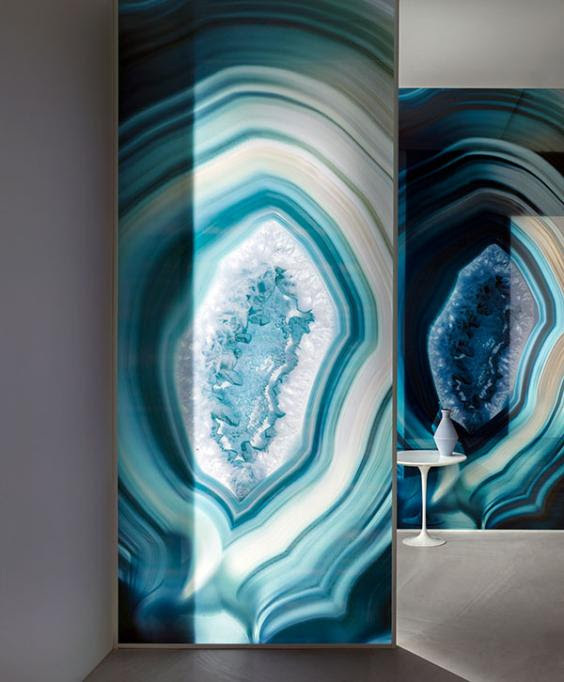 Sicis has also developed a line of backlit Gem Glass Vetrite, transforming the creations into a light point capable of giving life to surprising atmospheres. The combinations of Vetrite and artistic mosaic in vitreous paste, marble and other materials, elaborated by the expert hands of SICIS masters, are also interesting; refined surfaces combined with precious finishes, such as handles in minute mosaics, often in gold or silver mosaic. In addition to all this, there are remarkable collections of mosaic and inimitable panels realized with the artistic mosaic technique. The hexagonal shape joins the numerous and varied forms of SICIS tiles, allowing for elaborate patterns and figures when combined with other collections of SICIS mosaic tiles in vitreous paste and other materials. Never miss a new Tileometry post!